Another Sunday Funday afternoon at the Sudbury Arena turned into an exciting match-up between the Sudbury Wolves and the Niagara IceDogs. 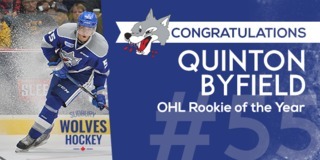 In a tough battle, the Wolves came out on top with a 3-2 victory with final shots on goal 44-34 in favour of Sudbury. Wolves goal scorers were Jack Thompson, Blake Murray and Shane Bulitka. Ukko-Pekka Luukkonen had a great performance in net, making a number of critical saves, while the IceDogs continued to lay on the pressure and challenge the pack throughout the dog fight. He made 32 saves and was named first star of the game. 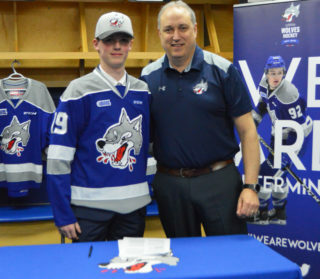 Jack Thompson gave the Wolves an early lead when he put the pack on the board just over five minutes into the game when he rifled in a hard wrist shot on the blocker side just under the post. At the other end of the rink, Akil Thomas scored on the powerplay for the IceDogs off a feed from Ben Jones to tie the game up at one with less than four minutes left in the opening period. Going into the second, the Wolves were quick to take back their lead, scoring just under a minute in. Blake Murray took a pass from Nolan Hutcheson and tipped it in top corner past Stephen Dhillon. 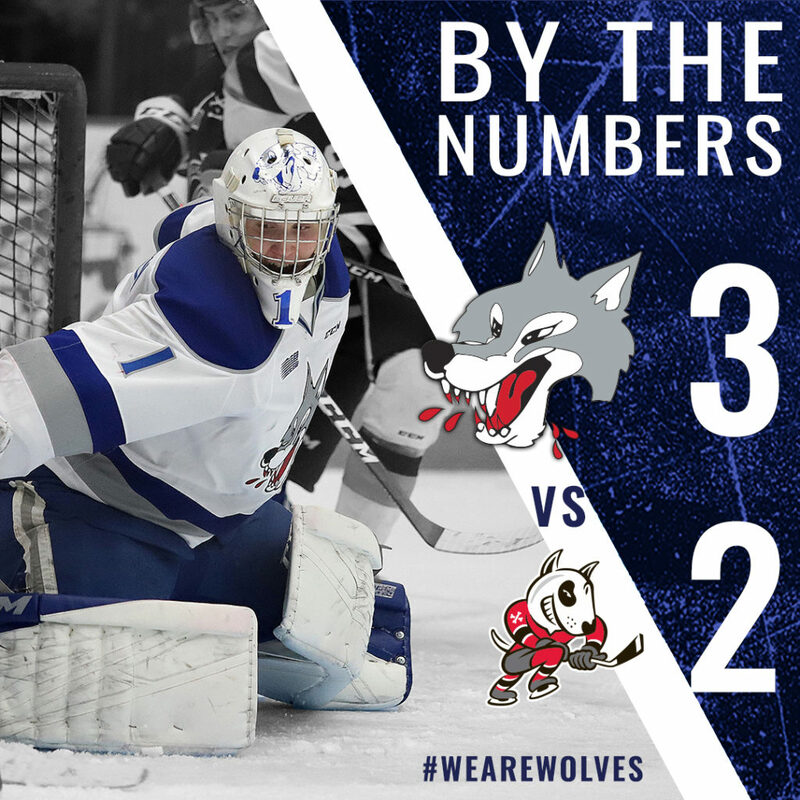 The IceDogs were unable to catch the Wolves lead by the end of period, leaving the score to sit at 2-1 for the Wolves after 40 minutes. In the final frame, Shane Bulitka scored a rebound goal off Owen Robinson’s initial shot to extend the Wolves lead to 3-1. Not a minute later, Niagara captain Ben Jones scored his 32nd goal of the season to make it a one goal game. Leading up to the final minutes of the game, the IceDogs were down by one goal. 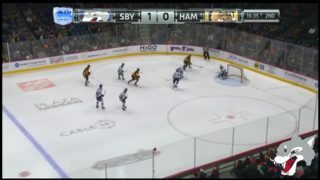 In an effort to tie the game, Stephen Dhillon was signaled to the Niagara bench for the extra attacker. 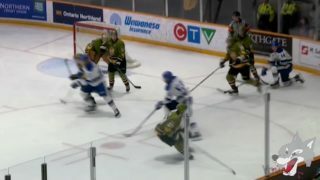 The IceDogs managed to put one into the back of the net but it was called back. Ukko-Pekka Luukkonen remained a brick wall in net, letting nothing through. 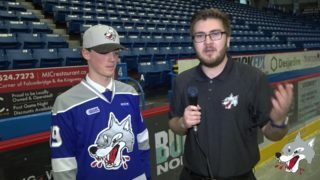 The Wolves once again shut down the IceDogs and took home the two points to close the gap between the two teams in the standings to two points.. The Wolves will look to extend their win streak to 9 games when the North Bay Battalion come to town for a rare Wednesday night match-up at 7:05pm. 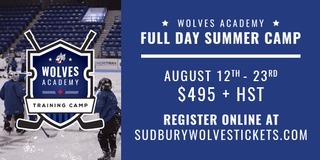 Great seats are still online at greatersudbury.ca/tickets or Sudburywolves.com.